A fantastical collection of bite-sized stories you can read in 6 minutes or less. For free. Your information will never be shared with anyone. Ever. The trolls say so. Want to get lost in an odd, quirky forest? "Forests are boring," you might say. "I laugh in the face of your short-story collection." In which case, my reply is: Excellent. Laughing is good for the soul. Some of the stories in this collection might make you laugh. (Intentionally, even. Can you say bonus?) Some might make you scratch your head. A few of the stories might give you a warm fuzzy feeling, and others might wrench your heart. All are different; all are unique. Just like us. That's pretty cool, isn't it? 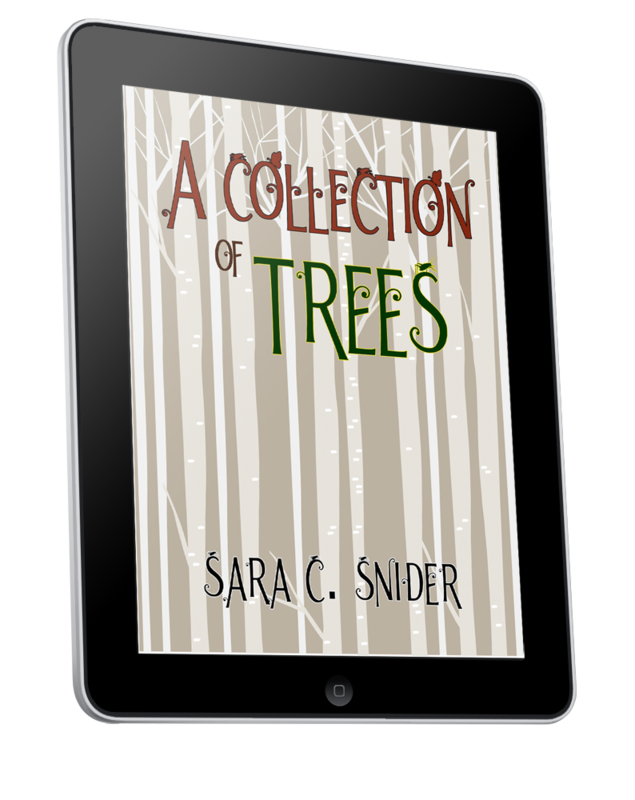 It's a collection of flash fiction stories, each one based on the name of a tree (or four). One story for each letter of the alphabet. ​Stories range from 100 words to 1800. Most come in around 500. That's, like, two minutes to read a story. It's like snacks for the brain. All are fantasy stories, because that's how I roll. The stories are all posted on my blog. If you want, you can head on over there to read them. If you subscribe, though, you'll get the stories bundled into an ebook for you to read while lounging. And who doesn't like lounging? That's right, no one. Interested? Become a subscriber to receive your free copy! By becoming a subscriber, you'll get new blog posts mailed directly to your in-box. You'll also be the first to know of new releases, limited-time promotions, and even get access to exclusive content from time to time. Sound good? If so, click the button below to become a subscriber and join the fun. You can unsubscribe at any time, no hard feelings, and you still get to keep the book. Either way, you win! No, thanks. Take me back to sar﻿acsnider.com. Double Beast Publishing © 2019. All rights reserved. Some stories are whimsical, others odd, but all are unique. Sign up today to receive your free copy. Your information will never be sold or shared. Ever.